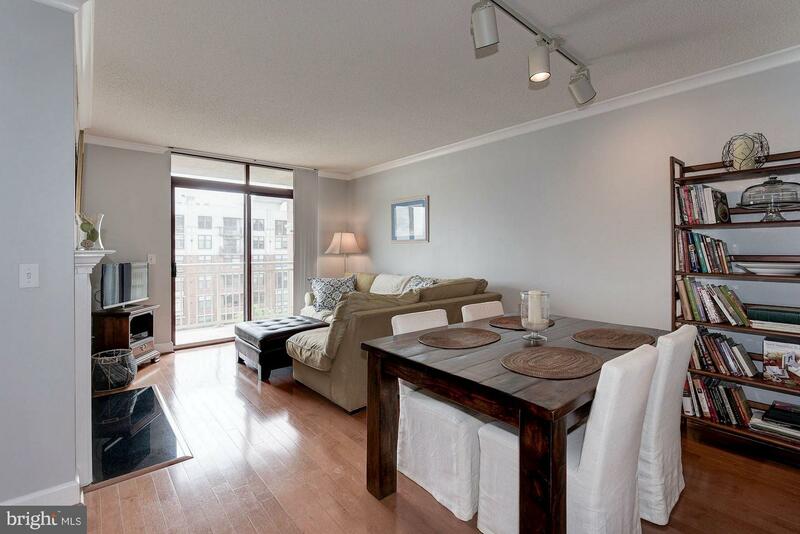 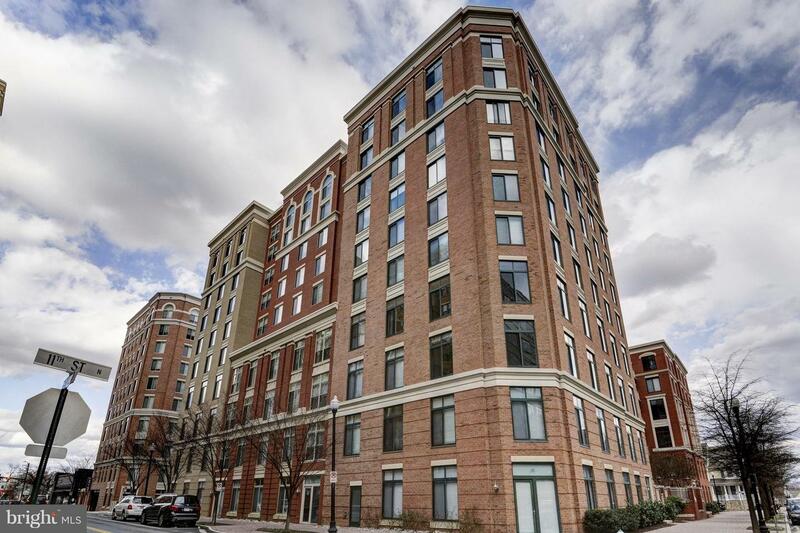 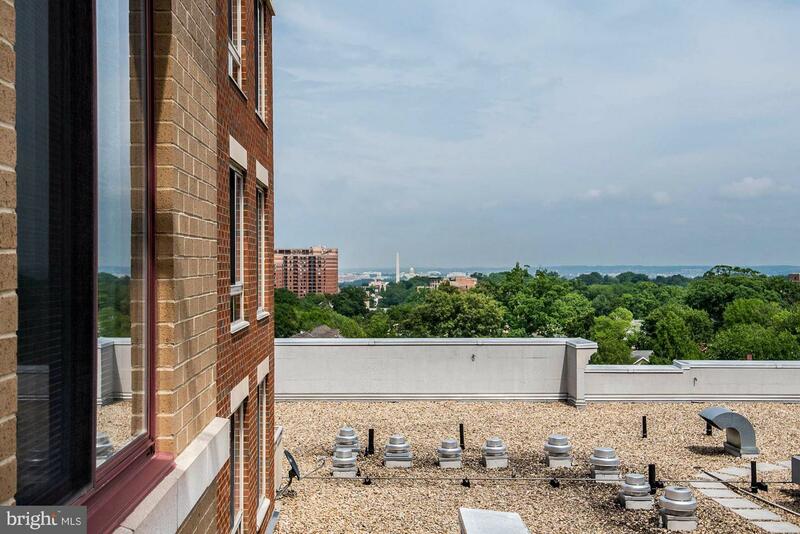 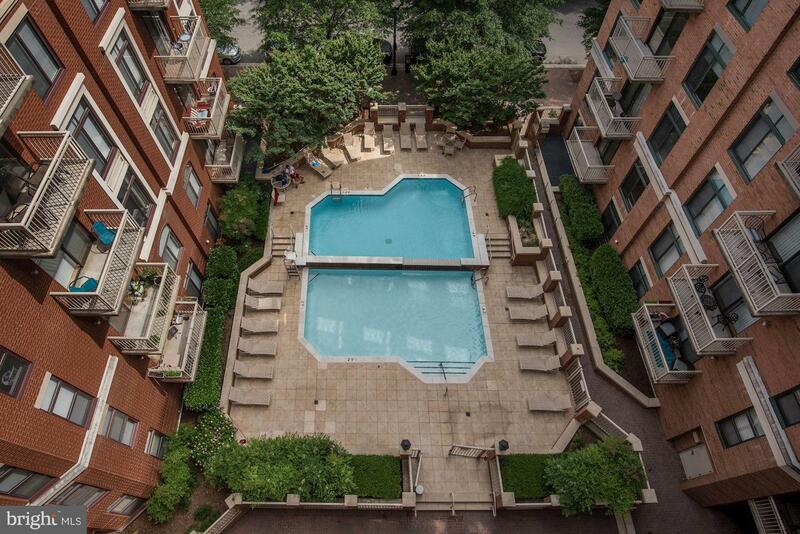 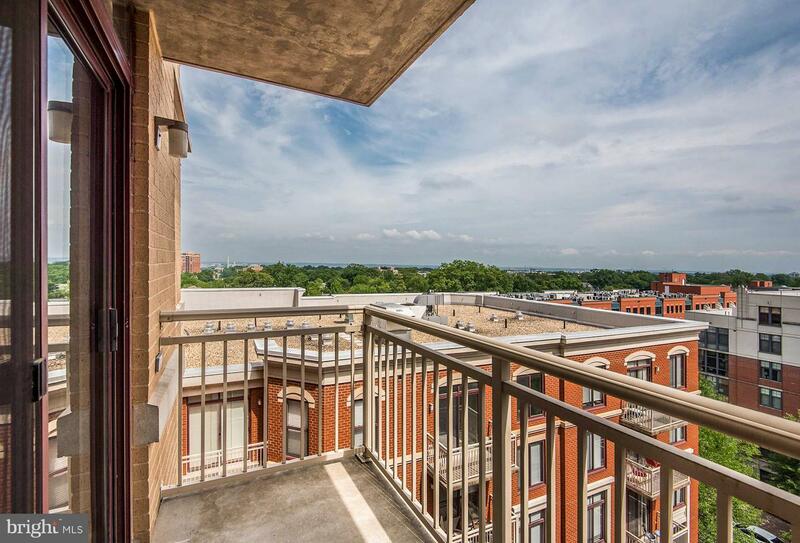 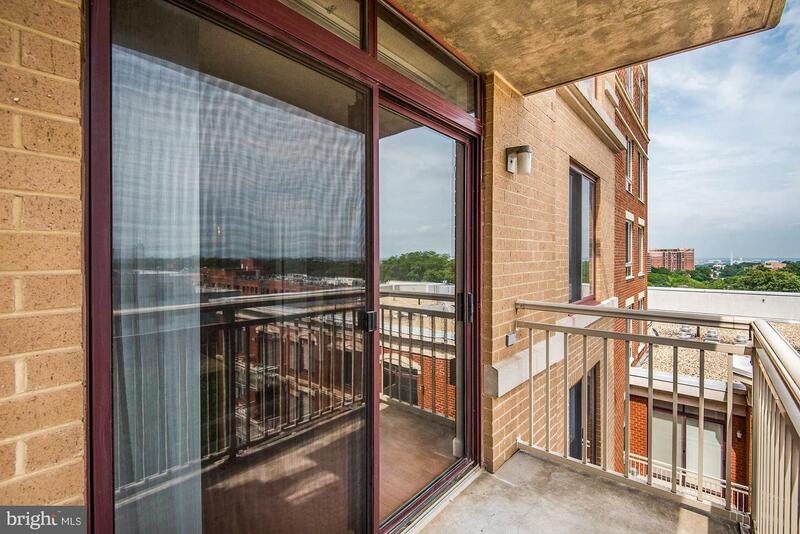 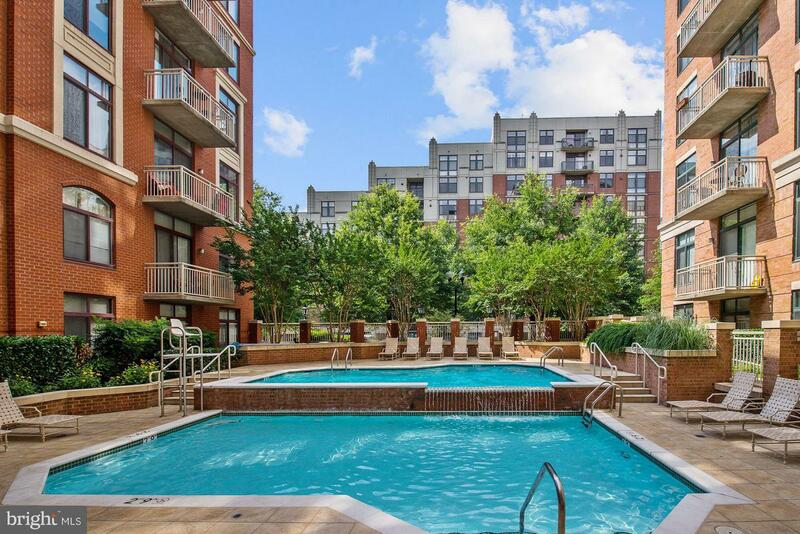 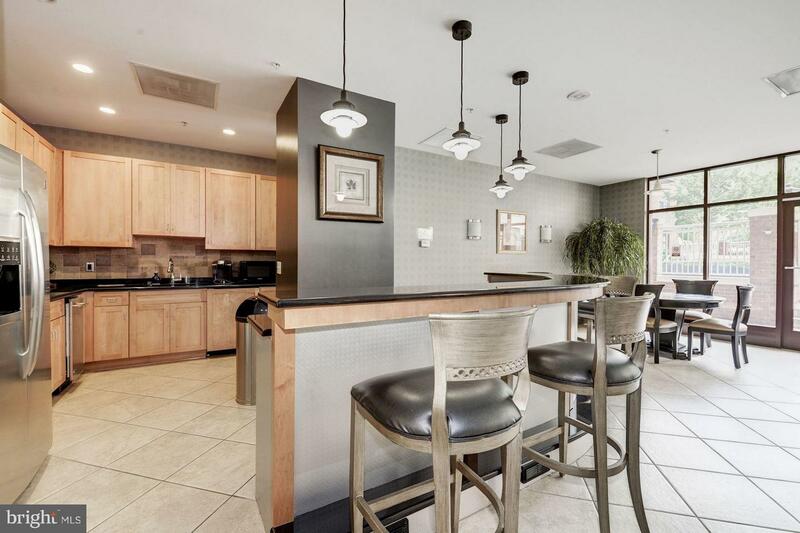 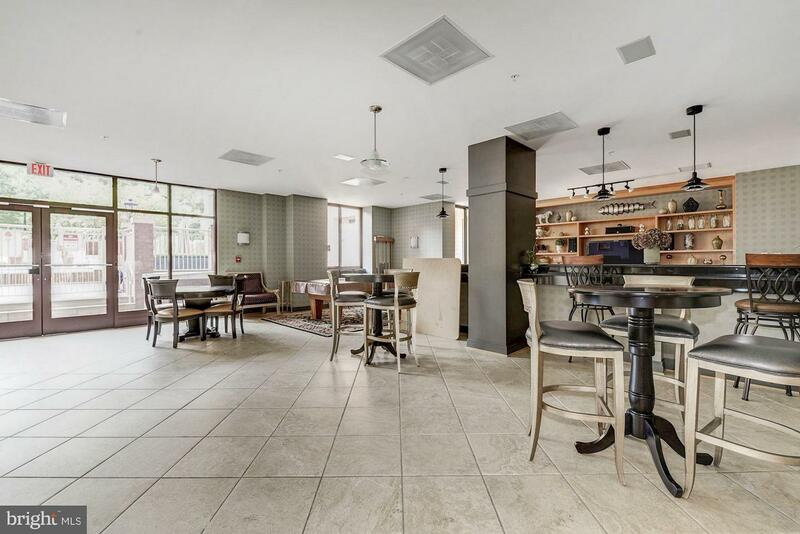 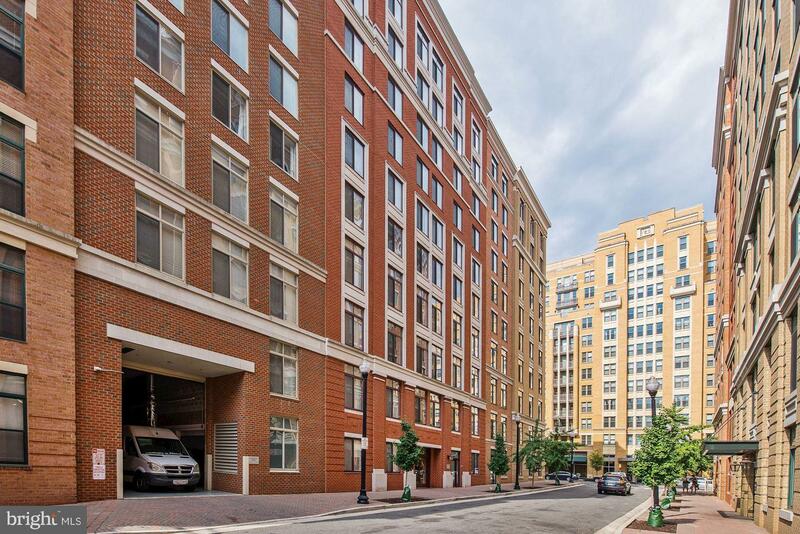 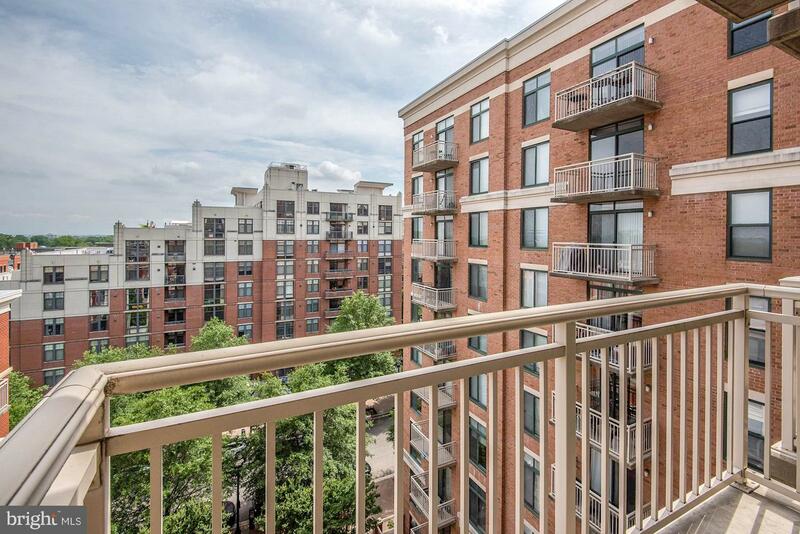 Monument views from the 8th floor balcony in this gorgeous Station Square 1 bedroom. 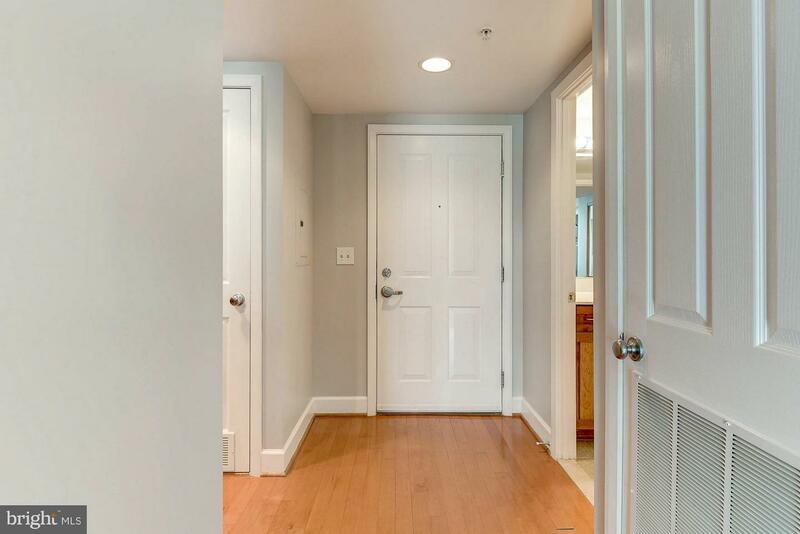 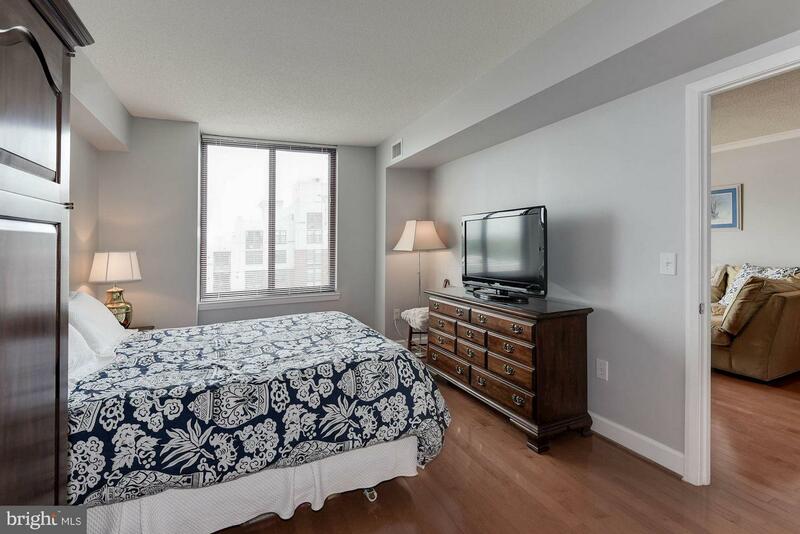 Hardwood floors throughout, entire unit just painted. 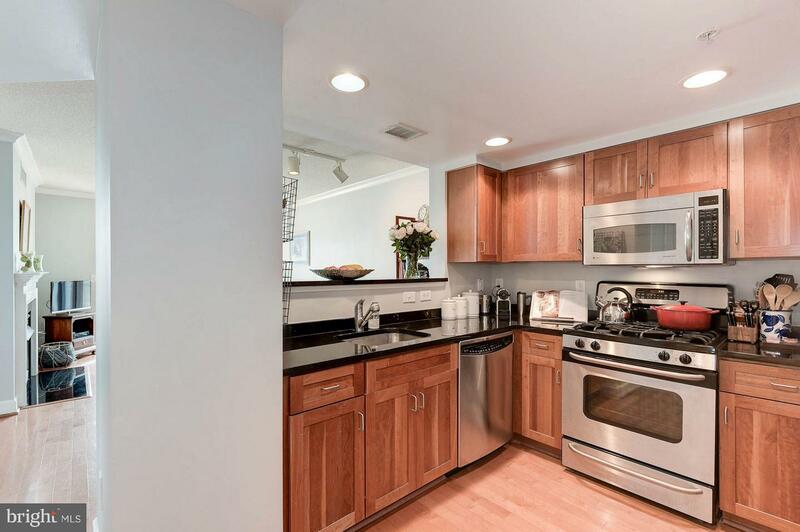 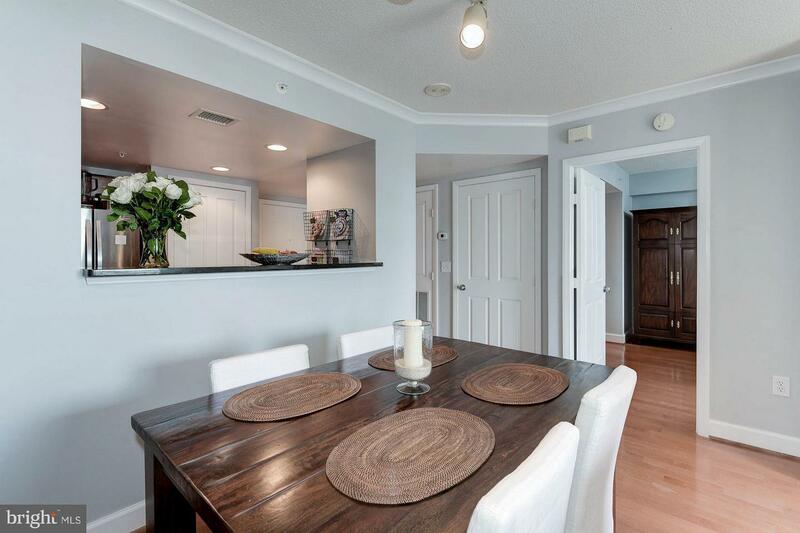 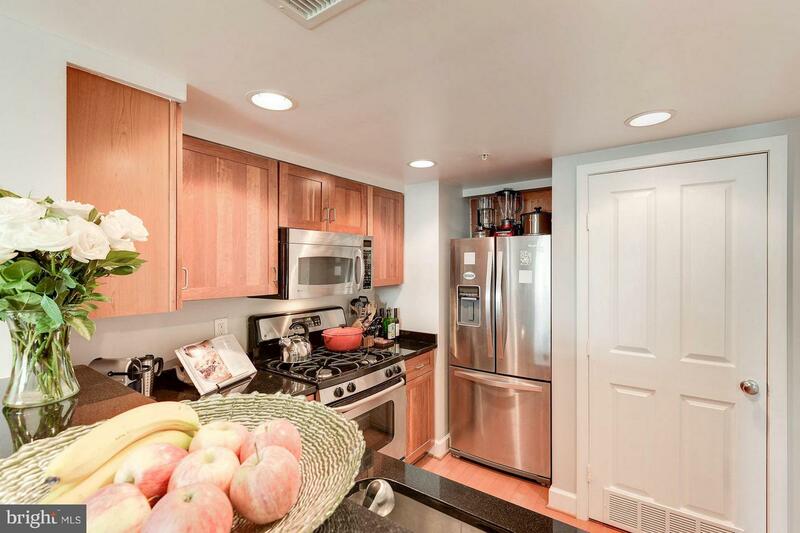 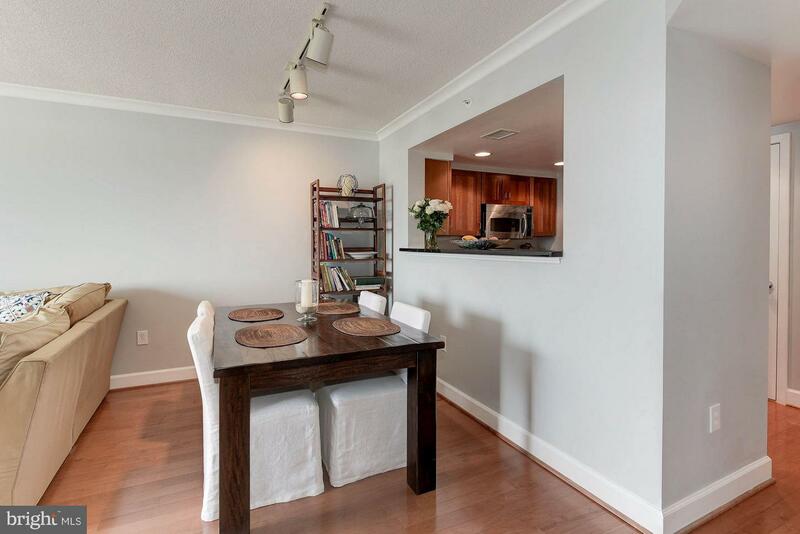 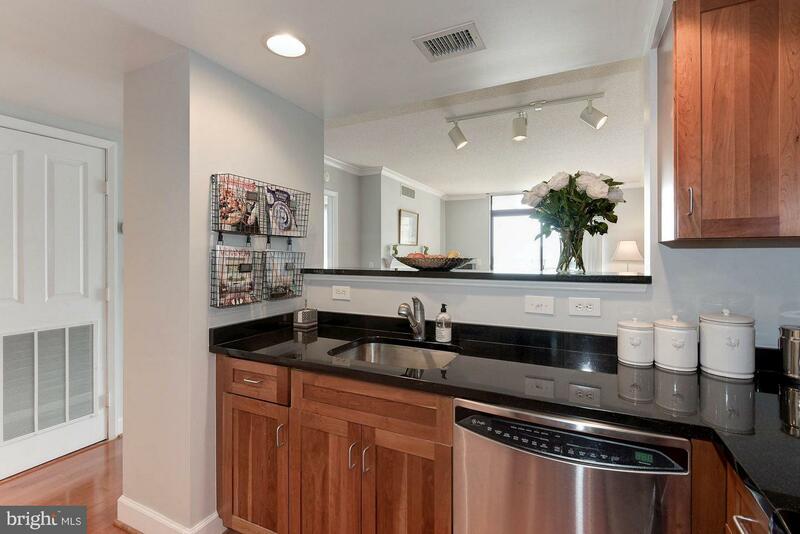 Gorgeous kitchen w/ black granite counters opens to dining area w/ large table space. 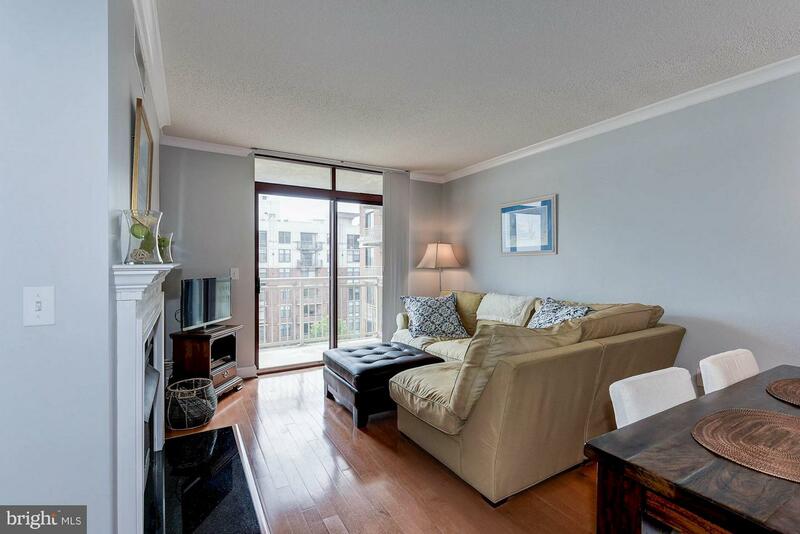 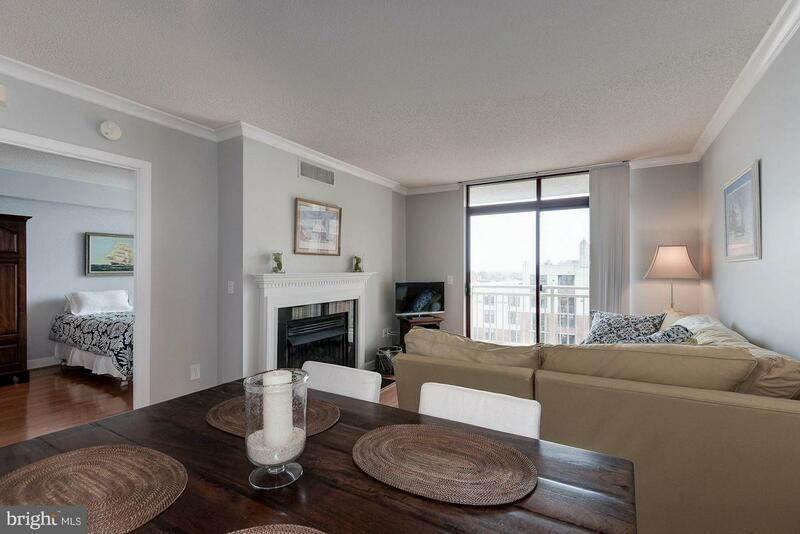 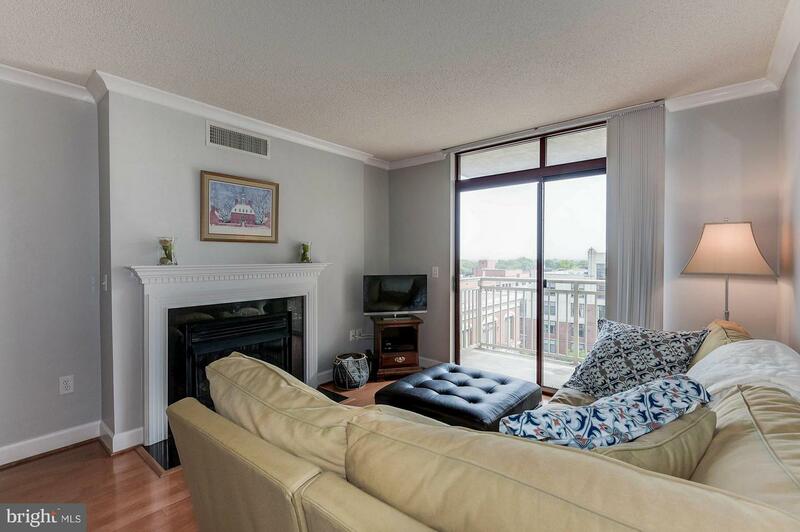 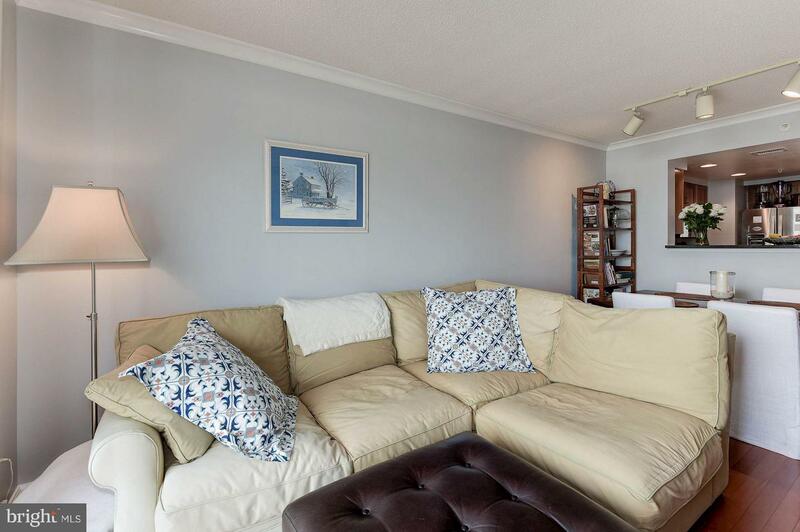 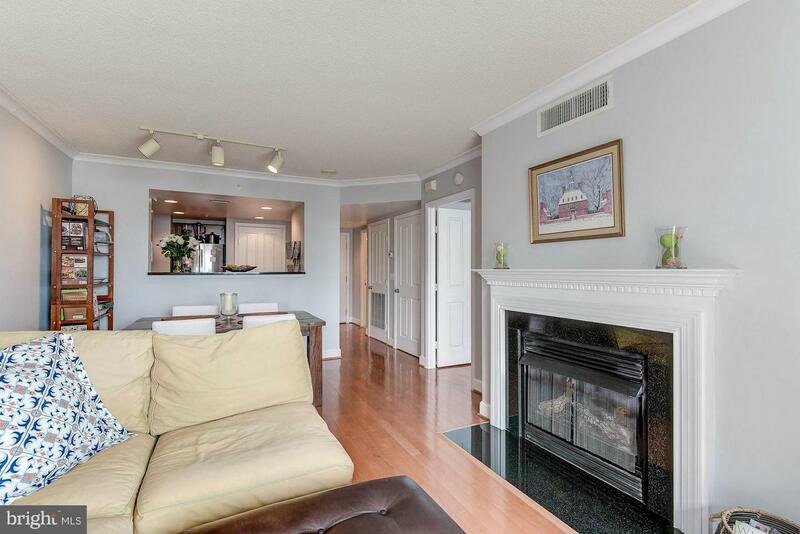 Living room has gas fireplace, sliding glass doors open to balcony overlooking pool & monument views! 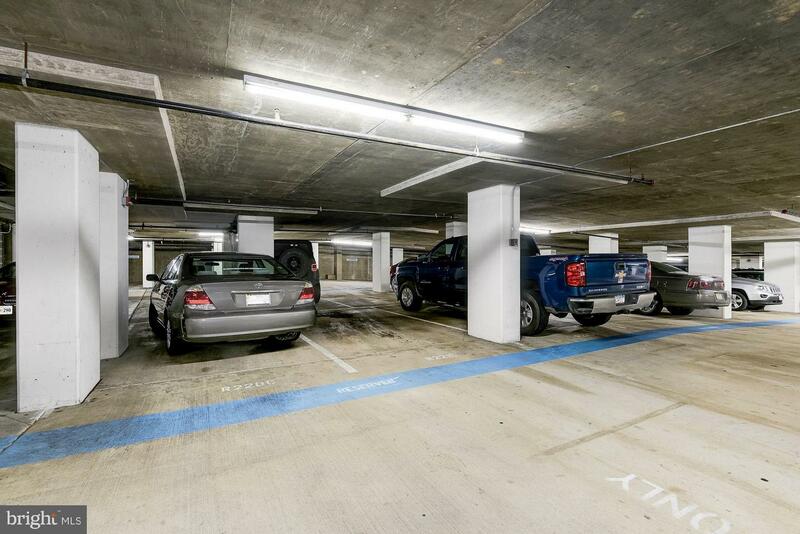 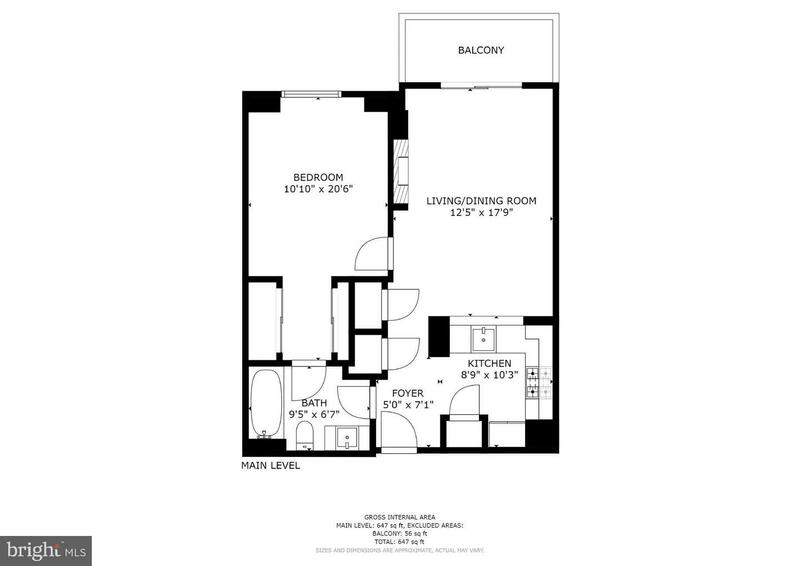 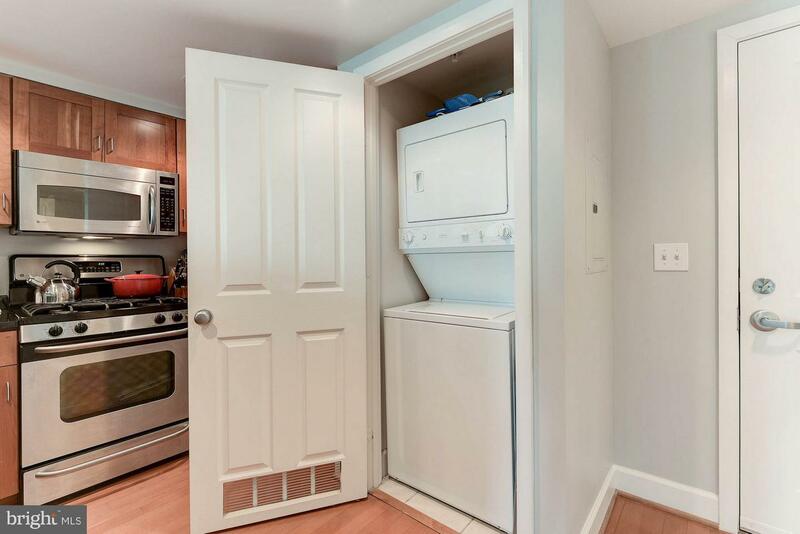 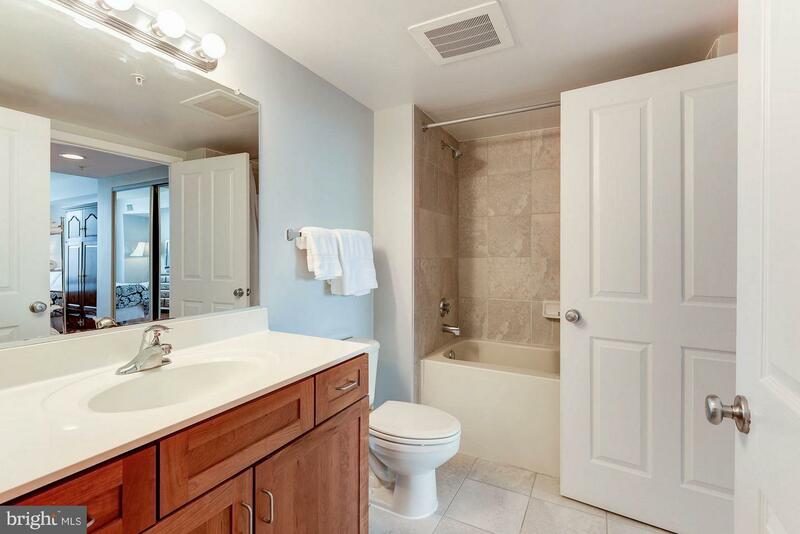 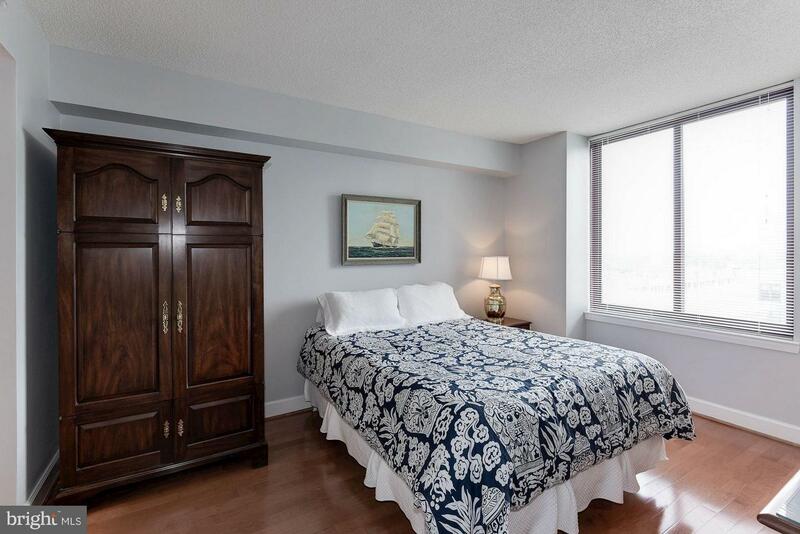 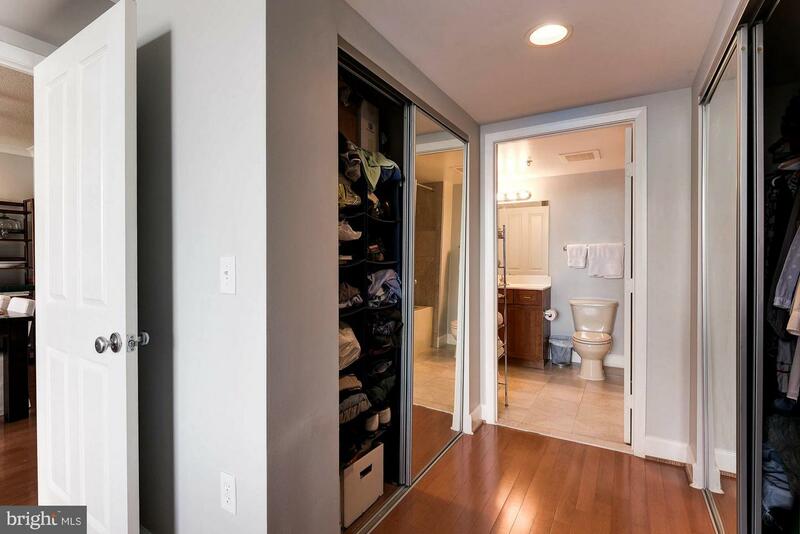 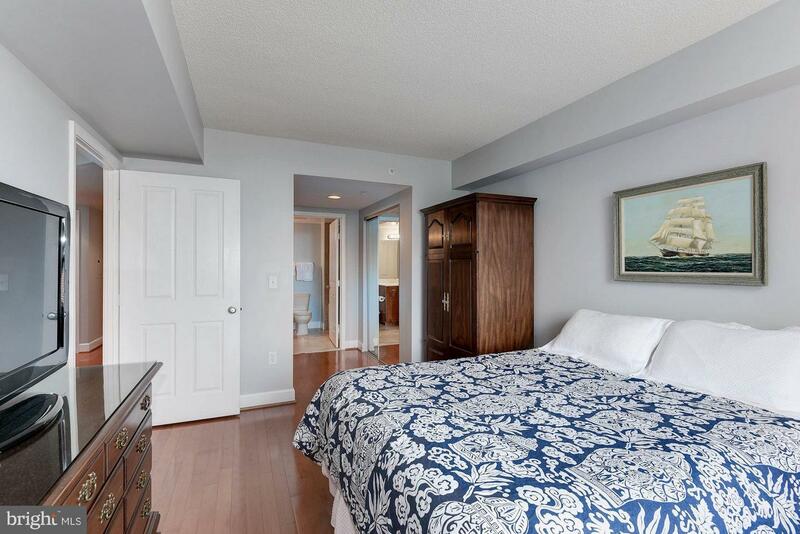 Large bedroom, great closet space, dual entrance bath, parking & storage!